Asia Cup 2018 is set to begin from September 15 as Sri Lanka will take on Bangladesh in the opening match while India will play their opening match at the Dubai International Cricket Ground, Dubai. India will be taking the field without their regular captain and star batsman, Virat Kohli as the number one batsman has been rested after the hectic Test series against England. He has also been suffering from a back injury for a while so the selectors have decided to rest him before the big series against Australia and the upcoming World Cup. In the absence of Virat Kohli, Rohit Sharma has been given the opportunity to lead the side in this tournament. Sharma has captained India in the past as well and along with his captaincy experience with Mumbai Indians, he is the perfect substitute for the captaincy role. Apart from captaincy, Sharma will also be seen opening the batting alongside Shikhar Dhawan as India will look to stick with their regular openers. At numbers 3, 4 and 5, Ambati Rayadu, MS Dhoni and Manish Pandey are expected to be seen. Kedar Jadhav is set to return to the side after coming back from an injury and he will play along with Hardik Pandya as the second all-rounder. The list of the bowlers will continue to have the names of Bhuvneshwar Kumar, Kuldeep Yadav, Yuzvendra Chahal and Jasprit Bumrah. Kumar is also returning from an injury that he picked up during the ODI series against England. It will be interesting to see how India play in the absence of Virat Kohli. Dhoni will be present to guide the team and Rohit Sharma just like he has been doing with Virat Kohli since the time he became captain. 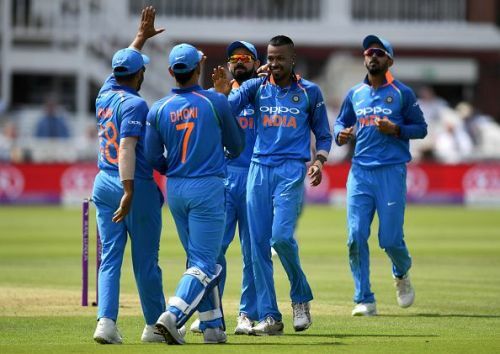 It will be a major tournament for India before the World Cup to solve their middle order conundrum and the woes of their sixth bowling option. With the arrival of Jadhav, the second problem will be fixed and if either of Rayudu and Pandey is able to score big runs then the other problem will also be solved. The World Cup is less than a year away from now and India will have to find the perfect balance to their Playing XI as there is not much time left for the mega event.